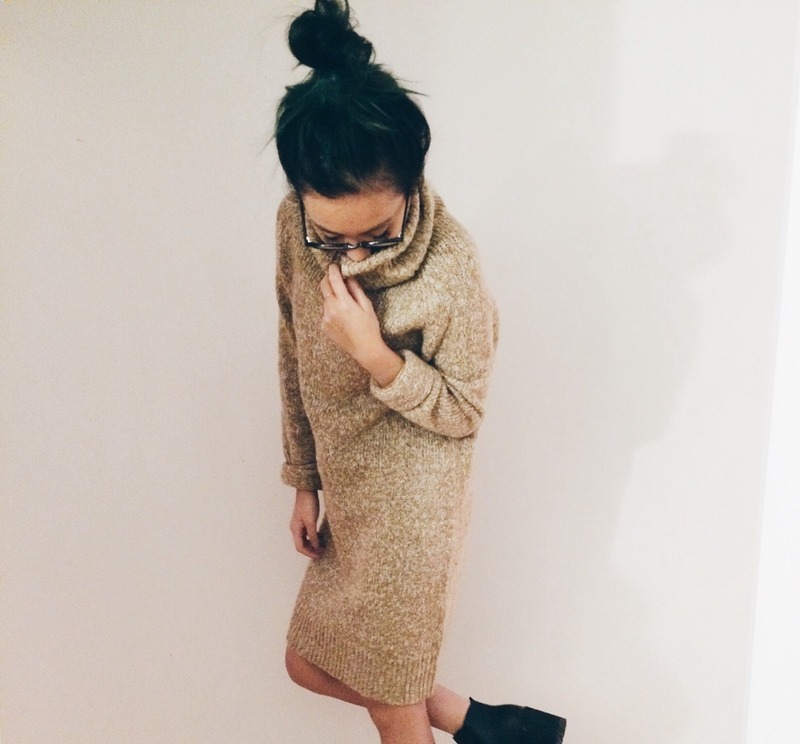 This turtleneck dress is seriously such a steal - $20 only! It's been a hard journey looking for perfect turtleneck knits and I didn't know how I felt about this one until I tried it on and fell in love. My friend was telling me the other day that I should be a H&M ambassador since so many of my outfits on my blog are from there. I didn't even realize. I guess one of my favorite places to shop is definitely H&M! If you're looking to purchase this turtleneck dress, I think they're still in stock as I saw them in stores not too long ago. Hurry before they're all gone!